Move in ready ranch rental home in the village of Mayville. 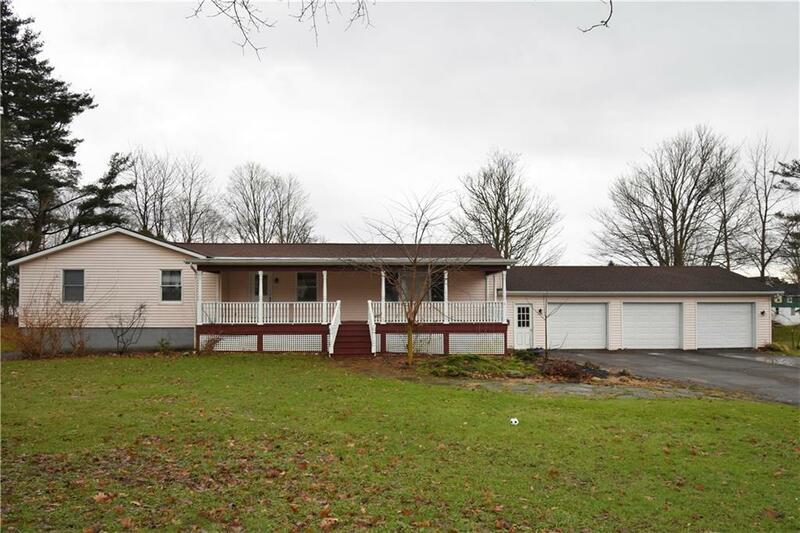 Located on a large 1.6 acre lot with views of Chautauqua Lake. The home is located one block from the lake. House features a large living room, separate family room, dining room and kitchen. Master bedroom with en-suite, 2 additional bedrooms. laundry area and full bathroom. 3 car attached garage and full unfinished basement. Directions To Property: Route 394 To Mayville, Left On Morris Street. House Is On The Left.